If you or someone you know is having a Birthday then nominate them to win a $10 Kentucky Fried Chicken gift card from the KFC in Peace River! 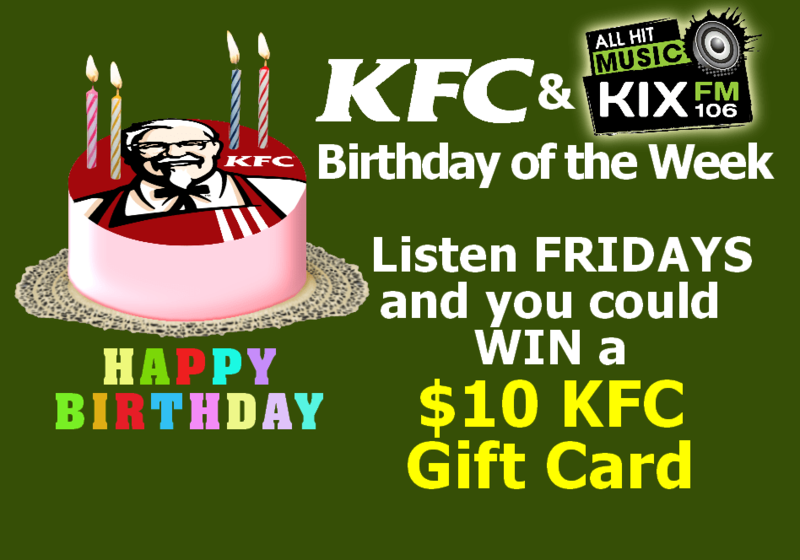 All you have to do is comment on the KFC Birthday post on Facebook or Tweet us @KIXFM. On Friday, we draw a name from the nominations and the winner gets a 10 dollar gift certificate for KFC in Peace River!